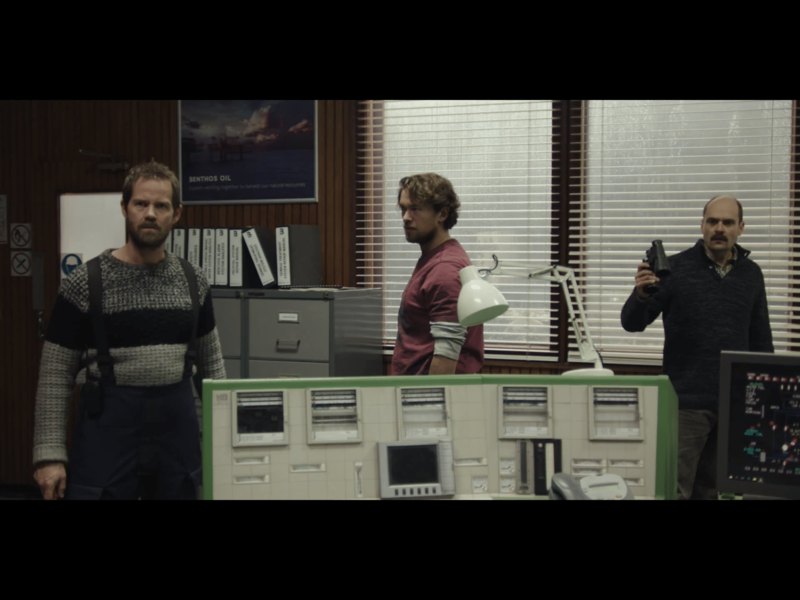 Director of Photography Calle Persson shoots the new suspense thriller Rig 45. The MTG series directed by Per Hanford will premiere tonight at Viaplay. Catherine Walker plays Andrea, an investigator sent by a oil company to investigate a suspicious, fatal accident on one of its North Sea rigs. During her investigation, a hurricane slams into Rig 45, cutting off communications from the outside world, and the crew finds themselves both battling nature and a devious killer. The original story is co-written by Alexander Kantsjö (Jordskott), Ola Norén (Kontoret) and Roland Ulvenius.